You will discover if you are half fortunate that one of the curses of old age is that many of your friends pop off before you do. It is then a bittersweet duty to recall some of their admired qualities. Stan James died in his shoes and in his Granite Falls cabin last week. The moment is not known. I talked with him by phone on Saturday Oct. 25th to confirm that he was coming to Seattle the next day to lead with his strong baritone and button accordion a singing of Ivar’s theme song The Old Settler, for a 70th birthday party “thrown” my way by Jean and other friends at the Acres of Clams (it is also Ivar’s – not Ivar Haglund’s – 70th year). Stan and I had a good long talk on the phone, as I sort of drilled him on his folk arts related history. I wanted to give a good recounting of it to those who came to the party. Stan did not make it to the party, nor did he call to explain why. He was 72 – I think. Stan was alone when he died probably suddenly from his heart problems. He was first seen through a window by a neighbor who was asked to seek him out. The visitor thought that Stan was perhaps sleeping. As yet, no one knows how long he sat there waiting to be discovered. 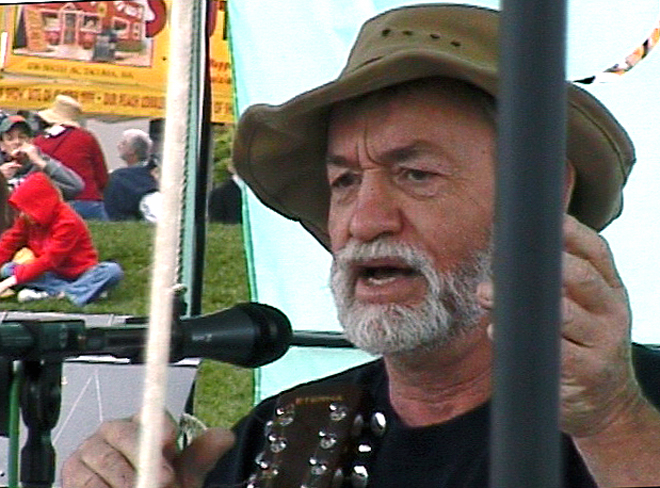 Stan James was one of the most important figures in the history of regional folk music. He had a wonderful baritone voice, with great power or energy and an often times thrilling timbre. The zest and variety of his life can now be studied and wondered at through the discussion thread found at mudcat. I met Stan in 1970 while filming “theatrical additions” for Sky River Rock Fire. That film and now video is still a work-in-progress nearly 40 years later – a documentary on the “counter-culture” of the late 60s and especially its music festivals, like the Sky River festivals. Stan was part of a group who put on leather rags or remainders lent by a leather worker and ran through a forest with a fisheye camera. (That film is around already digitized and when I find it Jean has promised that he will add it to the posting of the Halibut rehearsal footage he had included here.) Stan was a delight that first day “in leather” and every day thereafter that I had contact with him. Sharing Easter morning breakfasts with Stan, his family and circle of friends at his pioneer farmhouse in Wallingford was enchanting. Stan was the first artist to appear in Jean and my video history of Bumbershoot. 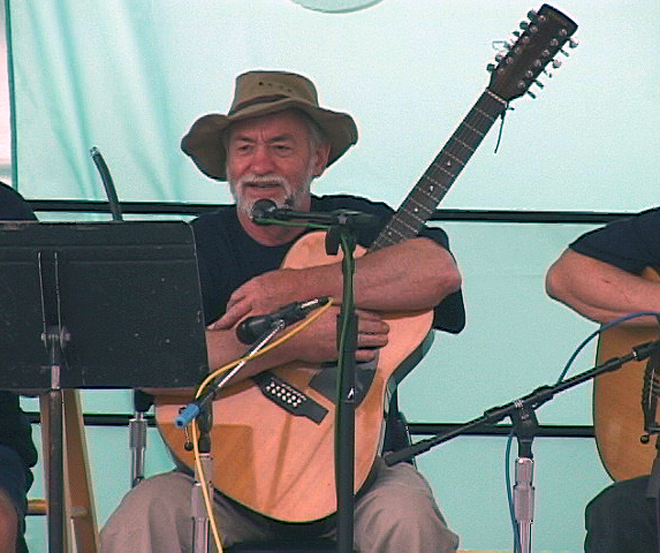 He performed at the first Bumbershoot and probably most of the Folklife festivals. 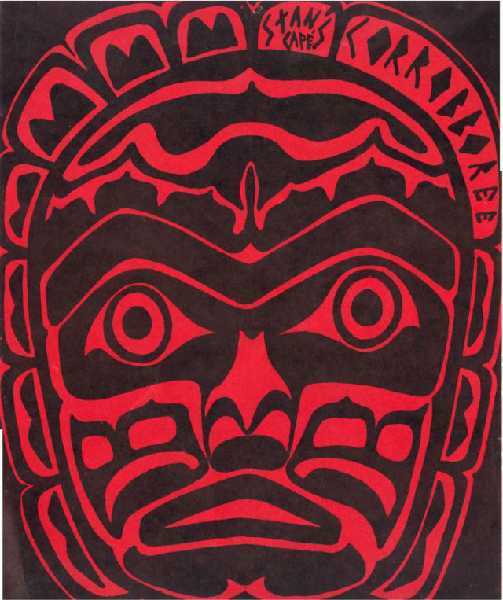 Stan was one of the movers in booking those first Hootenanny concerts at the Mural Amphitheatre at Seattle Center following the 1962 Century 21. He was a master marine carpenter and did some of the earliest work on restoring the Wawona, the venerable but forlorn schooner that has been the needy child of Northwest Seaport. Many are the concerts of Sea Chanteys that Stan has led both on the Wawona and at the Center for Wooden Boats next door at the south end of Lake Union. The clips of Stan practicing here are taken from footage of the Halibuts, a short-lived group assembled to revive the charming fish songs that Seattle aquarium proprietor and restaurateur Ivar Haglund wrote mostly in the 1930s. The rehearsals took place here in Seattle, on Stan’s front porch, my Wallingford study, and folksinger Alan Hirsch’s home at Interbay. Alan was another of the Halibuts along with John Pfaf. Stan was 68 at the time and still strong of voice. To hear earlier clips of his singing, visit that thread on mudcat. A memorial is being planned, of course, although at this writing the date and place are not yet set. There’s a problem with having it at the Center for Wooden Boats. It may not be big enough to hold his friends. But such an overflow would be another memorial to and reckoning of Stan James. Previous PostPost-election in Paris & Seattle!Next PostJoe Max Emminger! Well done from Stan’s kids. Thanks for this it is fitting and we appreciate the depth. Thank you Thank you Paul. I truly appreciate this honer to my father’s memory.